The first one is research, development and production of antennas, filters, radios in frequency band 40 MHz- 8 GHz as well as accumulators and other radio accessories. 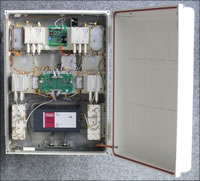 Fundamental products are repeaters (cell enhancers), filters, transceivers and amplifiers for radio networks TETRA, TETRAPOL and special radio stations for GSM- R rail connection. The second field of interest is represented by indoor and outdoor radio coverage including all engineering and construction works. 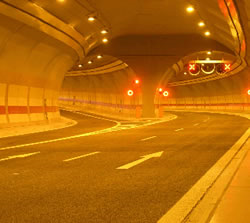 The company has a lot of experience in radio coverage of tunnels, metro and other underground areas. Research and development department is focused on specific technology facilitating radio coverage of indoor areas with radio signal. Indoor areas are usually covered with radio signal of different users in different frequency bands( e. g. GSM, TETRAPOL, TETRA operators, health service, fire- brigade, road maintenance, commercial radio broadcasting etc.). 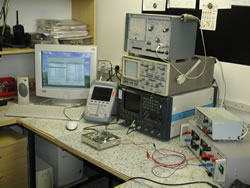 Expert teams provide customers with consulting services in the following fields: design and construction of radio networks radio signal measurement radio interference localization EMC problems solutions Integral part of the consulting service is development and production of the required technical solutions and necessary special equipments. Based on the marketing research, development and production departments deliver technical solutions of new products according to the specific customers´ needs and requirements. RCD Radiokomunikace delivers radio-coverage systems for all types of outdoor and indoor areas i.e. buildings, road and train tunnels, metro, mines etc. 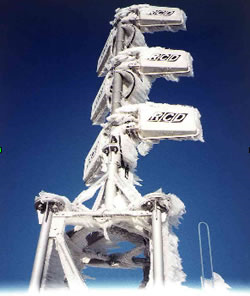 Turn-key delivery solutions provide radio signal coverage in the bands from 30 MHz to 3 GHz. RCD Radiokomunikace delivers customized radio-systems including pre-project measurement, project documentation, development and production of specific components, installation, final test and final measurement including certification. Research and development department as well as production workshops prepare technical solutions of new products in compliance with the customers´ needs and requirements.